ONE Coconut Water at Trader Joe's! 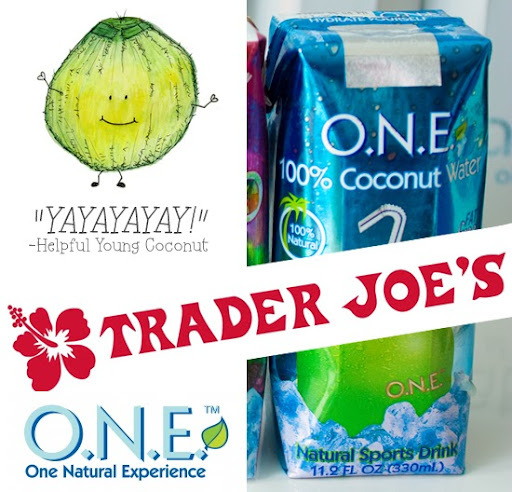 Newsflash Coconut Water fans, ONE, One Natural Experience brand coconut water is now available at all Trader Joe's locations! I'm plugging my ears to lessen the ravenous cheers and screams of joy. The Price. So as we all know, the most frustrating thing about coconut water is the price. 11 oz can run from $1.50 (on sale usually) up to $3 a pop at a very pricey corner or specialty store. The average price is about $2. I called Union Square NYC Trader Joe's today and the somewhat confused clerk said the price was only $1.29. Now is that wholesale or retail? I'm not quite sure because the coconut water stock hadn't reached their store shelves just yet - the order was placed July 1st, he said. But if the $1.29 price quote holds true, all I can say is wow! I'll be drinking a lot more coconut water. And using more coconut water ice cubes. Hydrate with Coconut Water. In case you haven't heard, coconut water is low in calories compared to most 'sports hydration' style beverages. It is 100% natural and rich in hydration-helping electrolytes like potassium and manganese. Learn more about coconut water. Trader Joe's. Find your closest Trader Joe's location on their website. ONE: One Natural Experience, I love the ONE brand. Unlike another top coconut water brand, ZICO, who recently added a few from concentrate coconut water products to their line-up - ONE continues to stay a truly "natural experience". 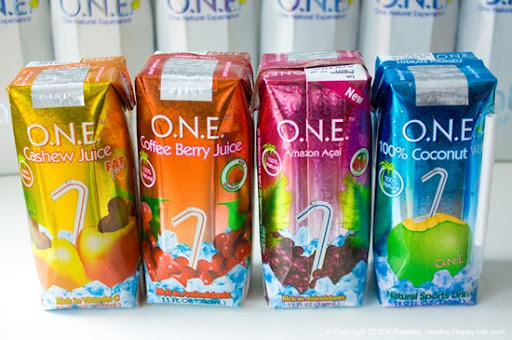 Plus ONE has an amazing line-up of auxiliary beverages like cashew juice, ONE Water and even Splash flavors of coconut water. 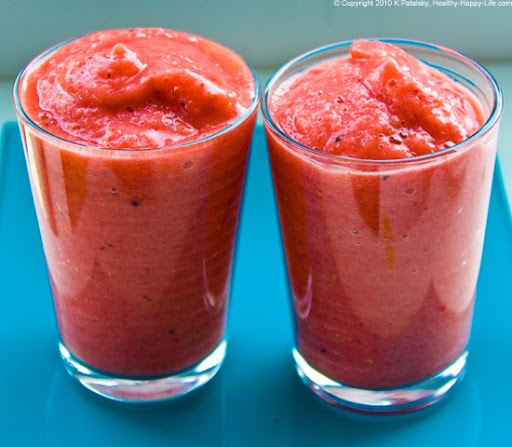 ...this smoothie recipe is also a part of my Smoothies! iPhone App.